I’ve been trying new things and enjoying old family favourites, so I figured I’d show you one of both. 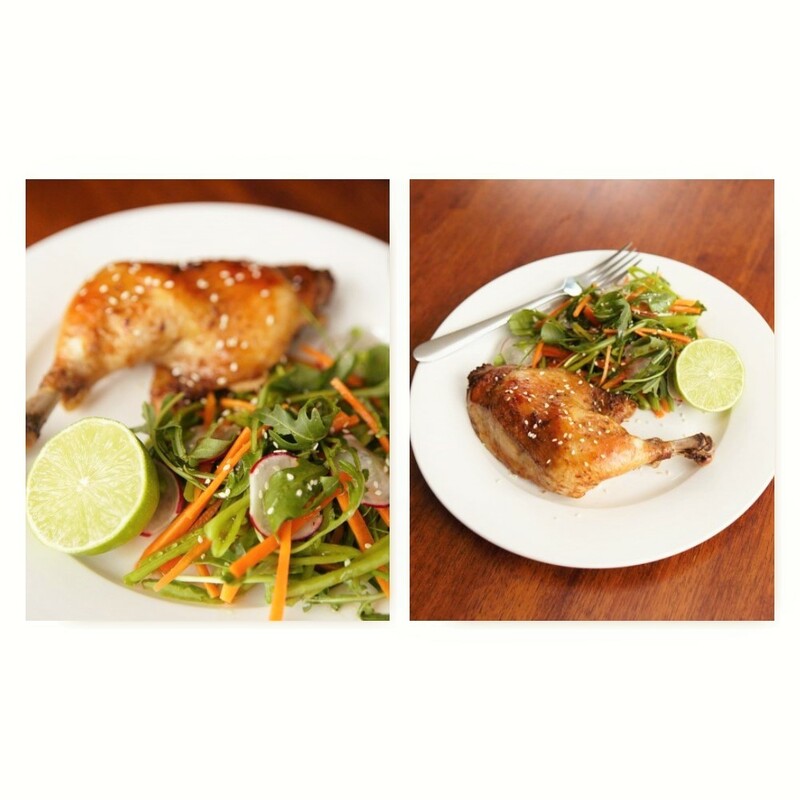 Meet Roast Lime chicken with Japanese Slaw! This is the more healthy of the two meals in this post! The original recipe comes from Taste.com which uses Yuzu, a citrus fruit from East Asia. While I applaud people who go out of their way to source new and exciting ingredients, I like to Keep Things Simple. Throw together pressed garlic, grated ginger, the larger quantity of lime juice and 1 tbsp of the light soy in a bowl. Put your chicken bits in, toss them around then throw the whole thing in the fridge for halfa. Preheat oven to 180°C fanforced. Take your chicken bits out of the bowl and pop on a baking paper lined tray, keeping your marinade for basting. Cook, basting every 15 mins for an hour. Cover with foil if it’s getting a bit too toasty on top. While it’s cooking, prepare the salad. Grab yourself a small, empty clean jar. Pop in the oils, caster sugar, leftover lime juice and 1 tbsp of light soy. Do up the lid and shake what yo mamma gave you. Pour over salad and toss through. Sprinkle the lot with sesame seeds, regular or fancy, and a squeeze of lemon if so inclined. Pretend to feel humble when everyone tells you how awesome you are. 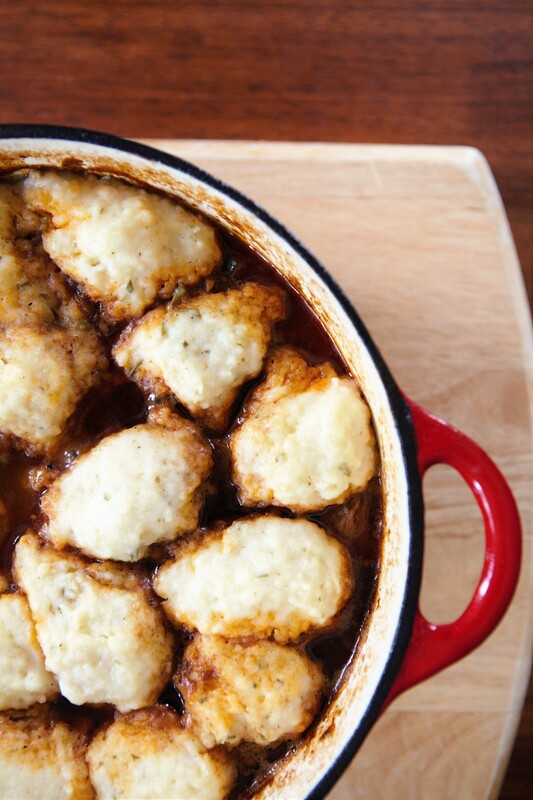 Now, Taste.com call this “Beef and Vegetable Casserole with Rosemary Dumplings”, but I know better. Here’s my adaptation. Roll the beef in flour and fry in batches in a big-bummed saucepan. Put the cooked beef aside, brown the onions a bit. Put beef back in along with wine, stock and canned tomato. Cover and simmer for 1 hr 45. Use the time to enjoy a cup of tea and ponder wtf happened to the actors from Power Rangers. Take lid off then throw in the rest of your veg, simmer for another 30. Put self-raising in a bowl and rub through the butter until it’s a bit like breadcrumbs, then add rosemary, buttermilk and some salt and pepper and stir with a knife until combined. Use a spoon to blob scoops of the messy dumpling mixture on top of the casserole a couple of cm apart (they will expand). You don’t have to sink them. Cover with lid and simmer for 15 mins until they’re puffy and delicious. It wasn’t quite so bad for you until the butter bombs happened. And you can’t not have them. You will be so happy in your tummy that you won’t care. I’m sorry.